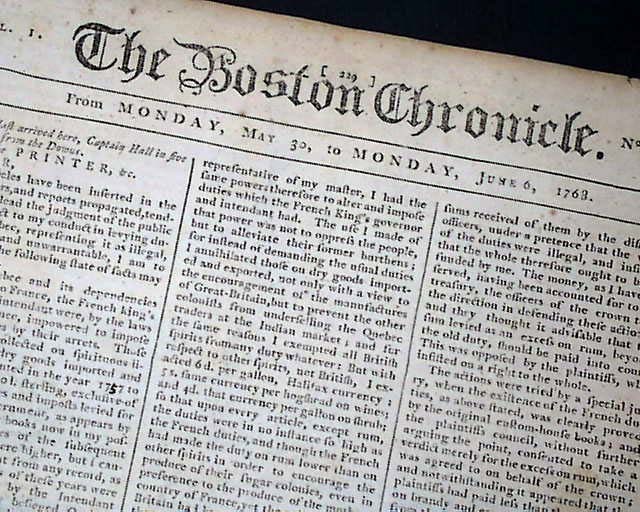 Under reports from London is: "...Letters from Boston, New England, mention that the late public spirit for establishing new manufactures was greatly subsided, the adventurers having met with nothing but disappointments in procuring materials, scarcity of money, & high price of wages." 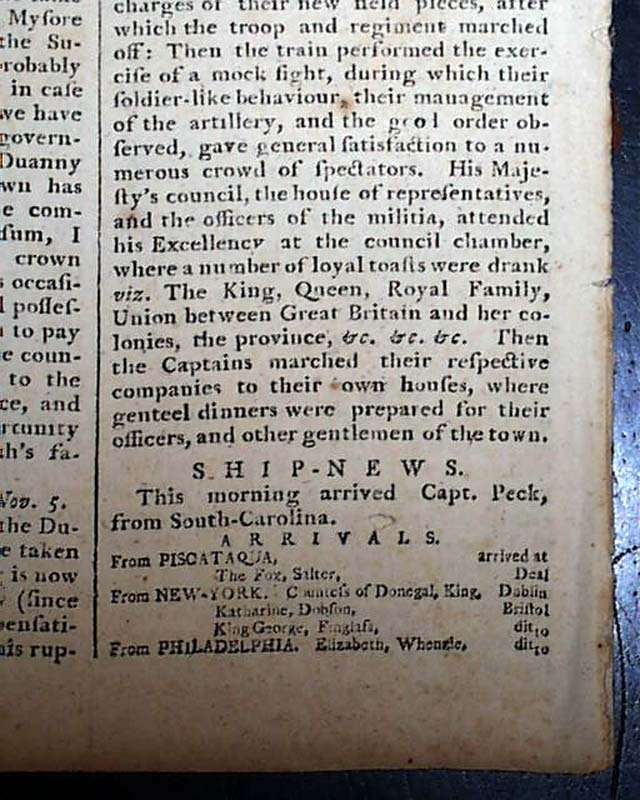 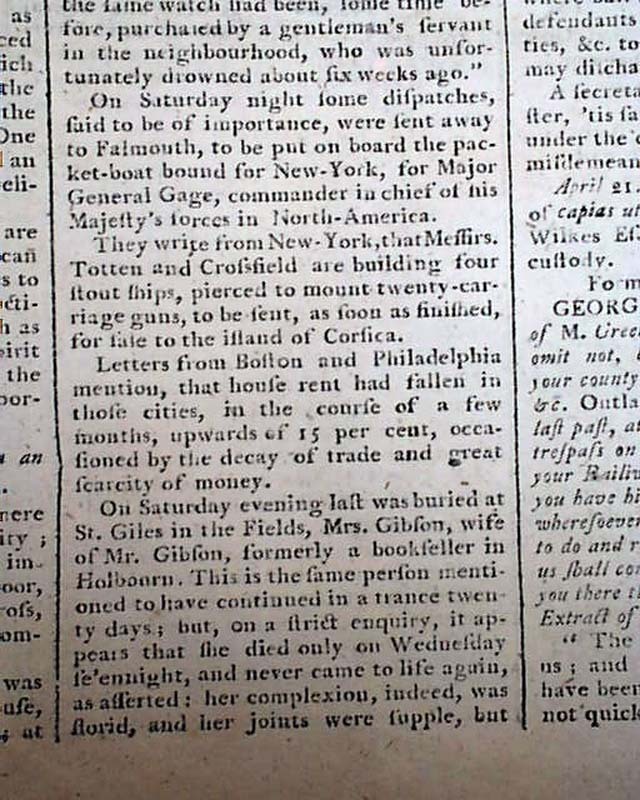 Elsewhere is: "...some dispatches said to be of importance were sent away...to be put on board the packet boat bond for New York, for Major General Gage, commander in chief of his Majesty's forces in North America...Letters from Boston & Philadelphia mention that house rent had fallen in those cities...occasioned by the decay of trade & great scarcity of money." 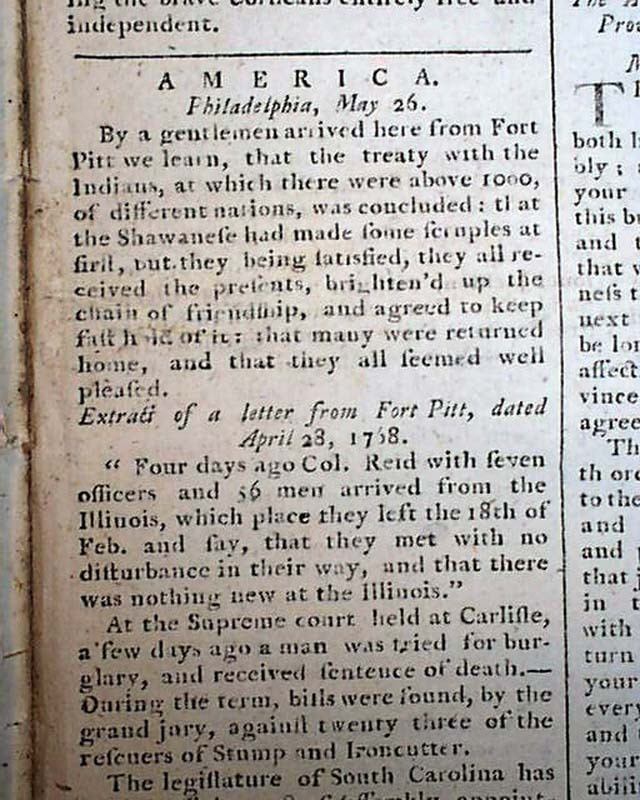 Under: "America" is a report noting: "...from Fort Pitt we learn that the treaty with the Indians...was concluded; that the Shawanese had made some scruples at first...they all seemed well pleased." 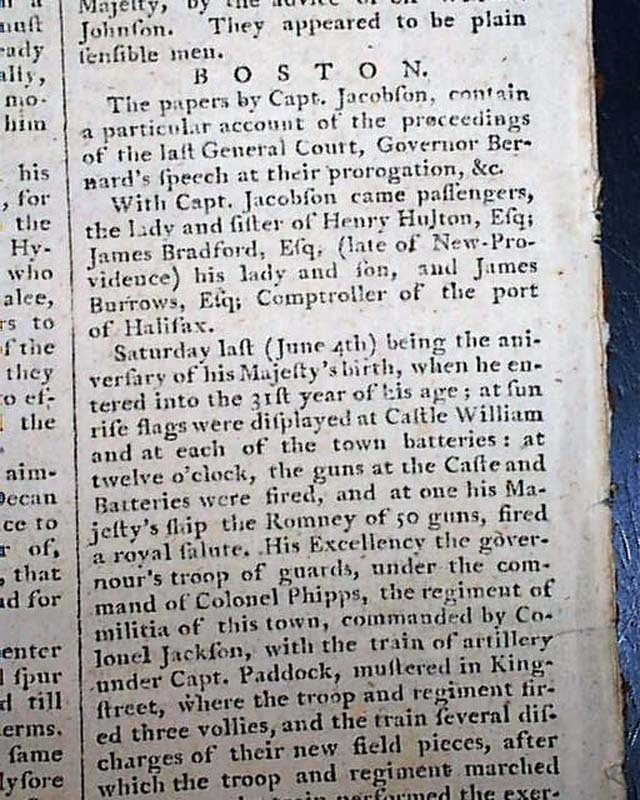 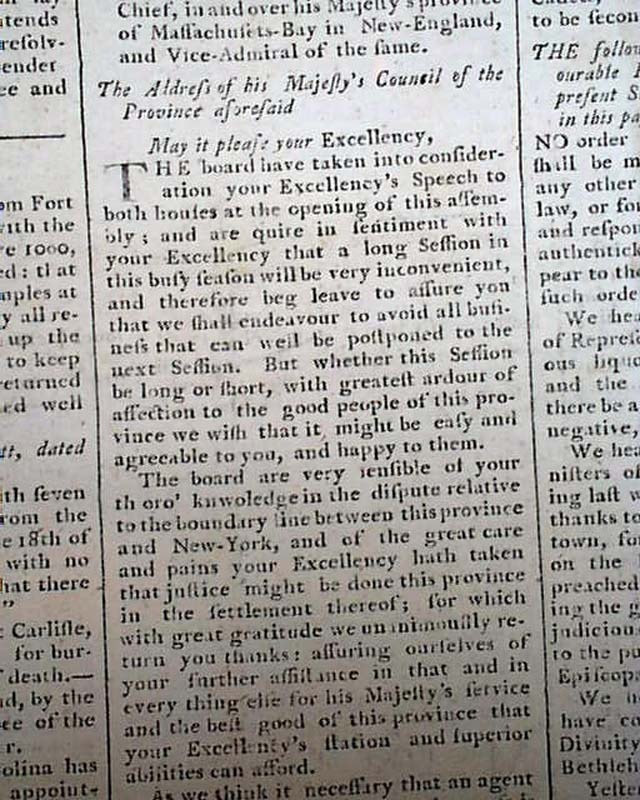 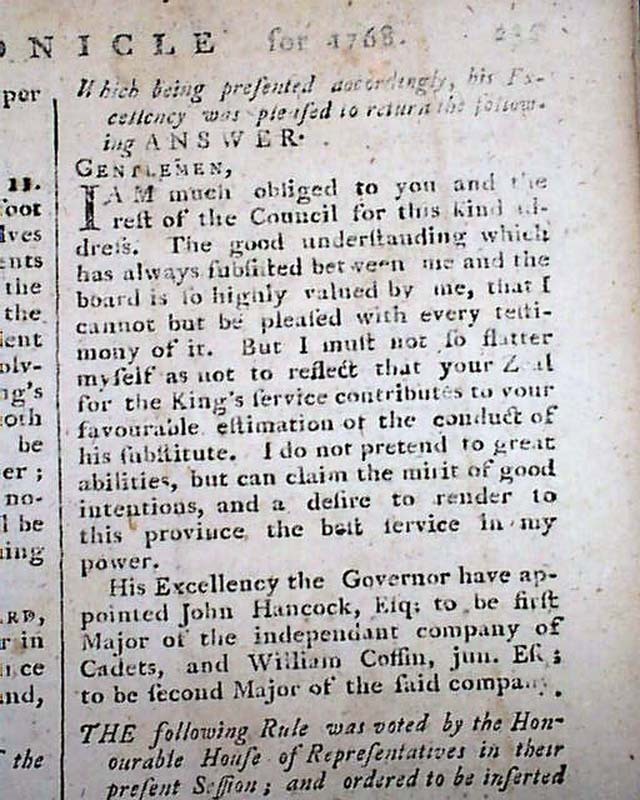 This is followed by a letter from Fort Pitt (see), and then an address from Massachusetts (see), then another article which includes: "...His Excellency the governor have appointed John Hancock, Esq., to be first Major of the independent company of cadets...". 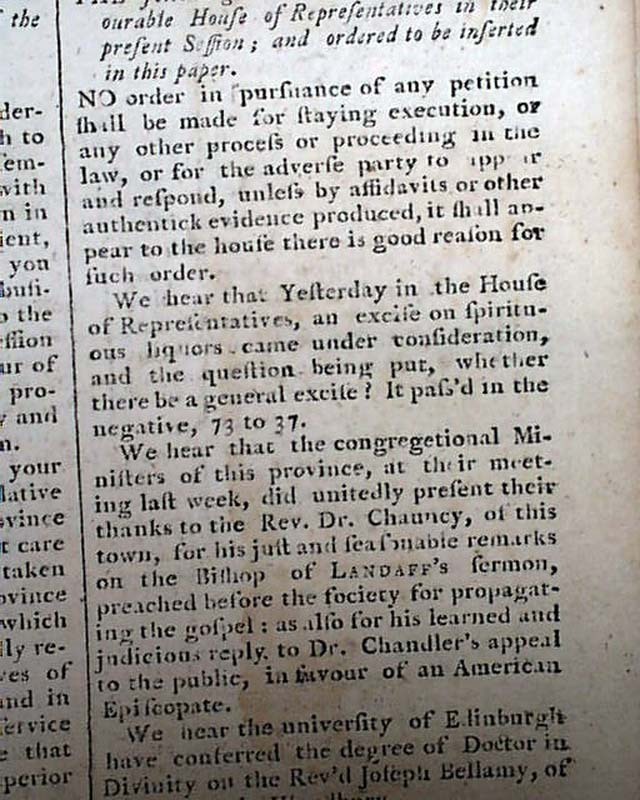 Interesting that the bottom margin has: "A Supplement will be delivered in the Afternoon.". 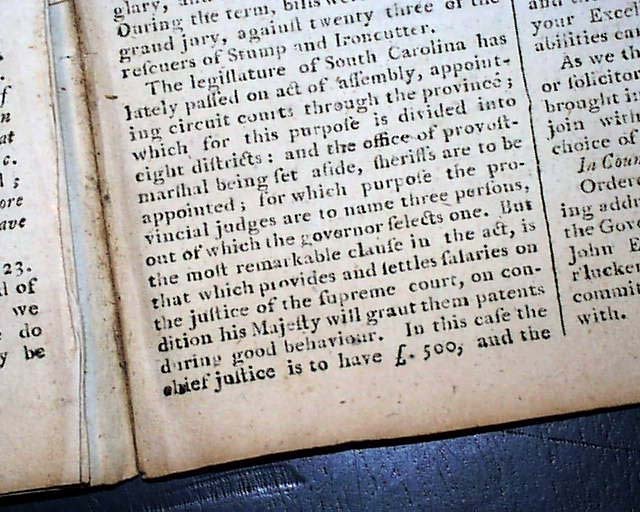 Included with this issue is the four page "Supplement" issue. 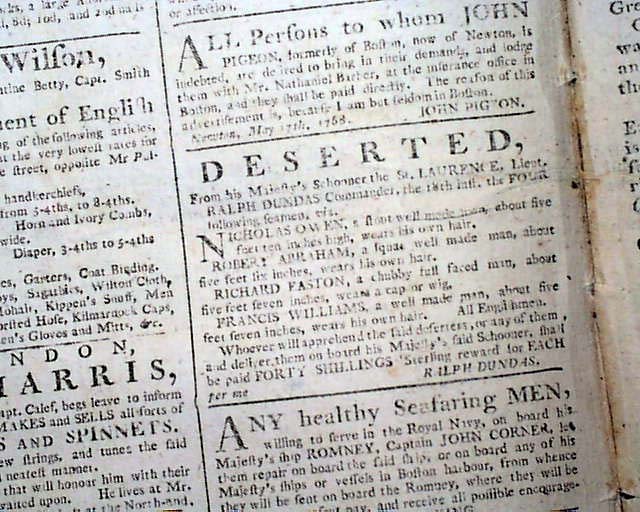 Almost all of the four pages are taken up with reports from London, although the back page has most of a column headed "Boston" (see). 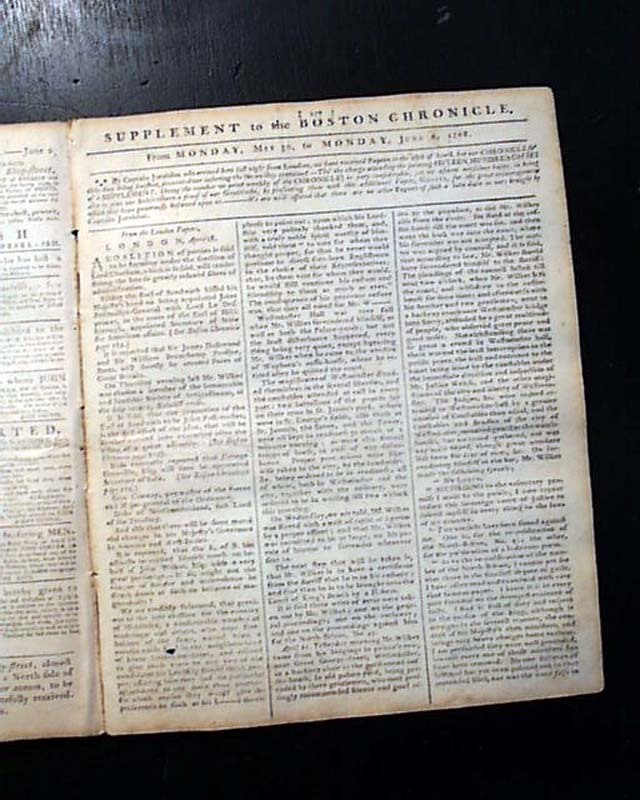 Complete in 12 pages with the Supplement, measures 8 1/2 by 10 1/2 inches, very nice, clean condition. 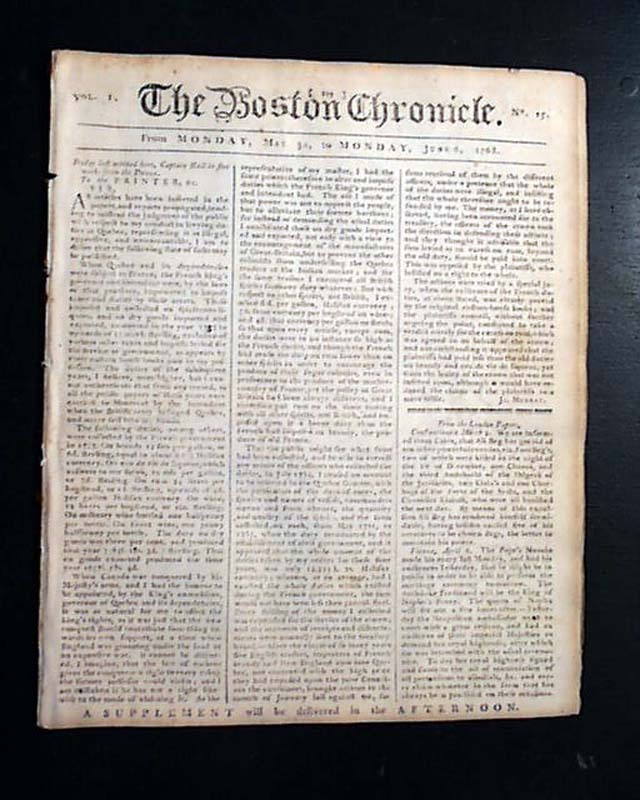 A nice opportunity for a colonial Boston newspaper--with the Supplement issue--at a reasonable price.